A carton sizer is the perfect tool to ensure that your boxes are always the exact right size. Using a box sizer, you can reduce boxes to the exact size needed. You’ll save money as you won’t need to keep various different sizes of boxes on hand or fill your existing boxing with a large amount of filler just to keep your shipments safe. Plus, you can reduce your shipping costs by using smaller boxes. It costs more money to ship a larger package so, if you don’t need a bigger box, why use one? That’s where we can help. In addition, using a box sizer is an excellent way to ensure that your products are safe and secure inside their boxes, they won’t be jostling around inside the box, which will keep them protected. 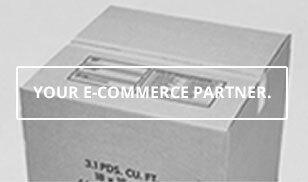 At the Packaging Company, we understand the importance of high-quality shipping products. We also know that businesses only have so much money to dedicate to shipping and packaging, but that you don’t want to sacrifice quality and ease of use. That’s why we work hard to deliver reliable products at affordable prices. Not only do we deliver the products you need to ship your packages safely, but we also know how important customer service truly is. We work with our clients as a trusted partner and want to form a long-lasting relationship with your business. A carton sizer is a key tool that should be a part of any shipping department. It works by adjusting the depth of your shipping boxes, making them more suitable for a variety of different shipments. The versatility of this product makes it a good choice for business that occasionally ship different size packages. You won’t need to buy a large stock of boxes in different sizes, but can instead use your existing stock and modify your packages to meet your needs.